Hearings are taking place this week in Iqaluit for the Inquiry into Missing and Murdered Indigenous Women and Girls. CBC North's Garrett Hinchey will keep you up to date in a live blog. Conversation now turns to the revitalization of Inuit dog team culture. Idlout-Sudlovenick points out that some programs are races are beginning to accomplish this, but that there is always room for more programming. If you're interested in Inuit sled dog racing, check out this gorgeous photo gallery from the 2017 Ivakkak race, which takes place each year in Nunavik. 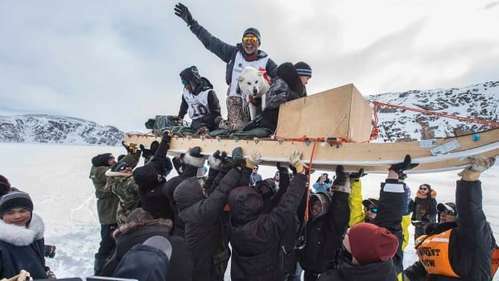 CBCPhotographer Pierre Dunnigan followed 13 mushers and their dog teams in the 650-kilometre Ivakkak race in northern Quebec, which wrapped up this weekend. Check out some of his beautiful images from the race. Beaudin's testimony has now finished. Jessi Casebeer is next to take the stand, representing the Northwest Territories Native Women's Association. Casebeer begins by talking about the general lack of a Northern perspective when it comes to colonial violence: "it's like we're this big blank space on top of the country." She asks why they believe this Northern understanding is often lacking in the discussion. Davidee Anigmiuq points out a lack of education, while Idlout-Sudlovenick references small populations: "we're a big country, and we have such a small population." Casebeer asks how it makes the panelists feel that the rest of Canada doesn't understand the experience of Inuit. Aksalnik: "it's frustrating." Idlout-Sudlovenick: "there's no simple answers. There's so many different answers. Some of them are easy to solve, some of them are not." Davidee Anigmiuq gets murmurs of approval from the room as she posits: "why is always it us that have to understand you?" She tells a story of her grandson asking her why Inuit people have to speak English, where southerners do not have to speak Inuktitut. Casebeer's next question is whether the panellists believe that Inuit could, with proper funding and support, create a solution to solve the violence in the territory. Davidee Anigmiuq: "I believe so." She speaks about how unstable funding severely impacts the services her centre is able to provide, and about how at one point, her group was moved out of their centre and into a parish hall. "There is such a huge need for the physical, as well as the human resources." Asked if there are government policies that have done more harm than good for the territory, Davidee Anigmiuq says: "I know there are things that have been tried up here that have not succeeded. Because they are not for us." Speaks again about the importance of partnerships with funders. Q: Do you feel as if the territorial government [of Nunavut] is for you? Is it helping? A: In some cases yes, says Davidee Anigmiuq. "We all have our frustrations, but we press on. They may believe in us, but funding is not always so easy." Idlout-Sudlovenick adds that the territorial government has been brought much closer to the Eastern Arctic since Nunavut was created in 1999 for Iqalummiut. However, for other communities, the government is still very far away. She also points out the government's high turnover rate, and the frustration of having to retell your story multiple times, as well as the stop and start nature of many files. Casebeer asks specifically about the QTC's recommendations, some of which call on the government of Canada. Have any of those been acted on? Aksalnik: "Of the recommendations that call specifically on the GoC, not a lot of them have been implemented." Casebeer asks if the panellists have any particular examples where they felt like things were moving forward in a positive way. Idlout-Sudlovenick points out the creation of a working group out of the QTC's recommendations, where they were able to bring the territorial government and federal government to the table. She also points out the RCMP and Nunavut Tungaavik Incorporated being open to creating shared priorities. Some of the recommendations are being acted upon, she says. She points out a recommendation to create a database to help families find Inuit who were relocated due to TB and never returned, and the assistance of the Government of Canada and other partners in financially supporting the project and attempting to make it a reality. Davidee Anigmiuq points out the formation of the group that is now Inuit Tapiriit Kanatami in bringing Inuit groups together. "What visionaries they were... they are the backbone of the things that we can talk about today." "It can only get better," she says, but emphasizes the need for mental health services, healing facilities, and strengthening partnerships. Casebeer's time has ended. Victor Ryan of the NunatKavut Community Council is the next to ask questions of the panel. He beings by asking Davidee Anigmiuq how it feels to reconnect with Inuit culture. "When you start learning or relearning the cultural knowledge, cultural skills, it does something to you inside," she said. "It starts building you up... what it does is it really makes you understand who you are, where you come from, and the hardships that our mothers endured when they were making a pair of kamik. That's not an easy task." She talks about the intricacies of making a pair of kamik: "the feeling you get afterwards, it's deep," she says, with tears in her eyes. "It's therapeutic. Sometimes you think: 'I wish my mother was here to see this.'" "It builds you up," she continues. "It gives you that confidence, it makes you proud. And you understand what your ancestors went through... when you get to understand a little bit of who you are, you want to grow in that." Ryan then flips the question, asking if being deprived of that feeling is a form of colonial violence. "It can break you," Davidee Anigmiuq says. "I know people who have given up." Question is now on the feeling of being out on the land. Davidee Anigmiuk: "when you're out on the land, you have to do everything... you learn the skills that you normally would not in a city." "If you're a city slicker, stay in Iqaluit," she says with a smile. "You're not going to learn what we learn out there." Davidee Anigmiuq speaks about a daycare being built next to her home, and next to a traditional skidoo trail. She advocated to keep it, saying it must be kept open, where a government official said "you want skidoos near your house?" "That's two different cultures, totally," she says. "These are survival trails." She talks about how the Inuit diet and lifestyle follows the seasons. "We are the very air that we breathe. And we can't get away from that." Ryan asks about the importance of the public school system in teaching land based education. Davidee Anigmiuq says it can be a strong tool, provided that Inuit are put in charge of the program. "There are some schools with strong programs, but there needs to be more." Ryan points out that the public school system has access to very stable funding that is not necessarily based in proposals. He asks about the possibility of using the public school system to stabilize land based education. Davidee Anigmiuq says she doesn't know enough about school funding to comment. Ryan's question now turn to the representatives from the QTC. He asks if a system of justice based on family would necessarily involve women in a leadership position. Idlout-Sudlovenick says that wasn't something explored in their report, but does speak to interagency groups in communities that involve elders, both male and female. Ryan's next question regards a lack of records in regards to acts of violence in communities, and in some cases, the destruction of those records. Would the panellists consider that an act of colonial violence? Idlout-Sudlovenick: "Some of the record keeping was not very good, in that time [in the RCMP detachments]... I think that's why some of the findings didn't find the evidence they were looking for, because of the poor record keeping in those detachments." Ryan follows up by asking if it would be easier to investigate allegations of violence if Inuit did their own record-keeping on these acts. Idlout-Sudlovenick points out that Inuit are traditionally an oral society, but normally didn't use notebooks. "A lot of the testimonies [for the QTC] are from Inuit that have told their own experience, their lived experience... based on individual memories." Ryan's time has concluded. Next to question the panel is Julie McGregor, representing the Assembly of First Nations. McGregor's first question is to Inukshuk Aksalnik: "if you had any advice to the commissioners, how would you say they can make their recommendations workable for Northern people?" Aksalnik: "Work with us. Collaboration." McGregor asks about the continued lack of an apology for the sled dog slaughter by the Government of Canada: why do you think they have not apologized yet? Idlout-Sudlovenick says that the ask was first made to the Conservative government under Stephen Harper, got a "lukewarm response." Under the current Liberal government, she says things are "a bit more welcoming." She says she's hopeful that the apology will still happen. McGregor asks about the impact of industry - "we all know women are not treated well when industry comes to town." 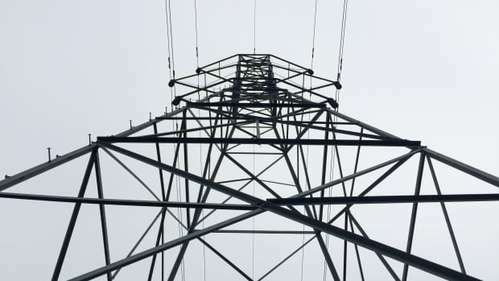 She uses the recent example of allegations of Manitoba Hydro workers, which you can read about below, and asks if they believe victims should be compensated. CBCIn 165 pages of testimony, members of the First Nation spoke of sexual assaults, racism, feeling marginalized and a lack of socioeconomic opportunities. Aksalnik says that compensation was not part of QTC's mandate, and so she can't speak to that. And with that, McGregor's questions are finished and the proceedings have adjourned for the day. More cross examination of this panel will begin tomorrow at 9 a.m. ET. I will be back then with a live blog - check into the site shortly for our file on today's proceedings. A productive day, but an emotional one, and one almost entirely trained on the Northern experience. As we move through the week, the focus will shift towards more national issues and speakers. Thanks for following along - and see you tomorrow!